minecraft | Another dot in the blogosphere? I have not played Minecraft in a while. This is because my son has not played the game in that time. The game is beneath him as he is into various Steam games now. Our Minecraft server resides in a Mac in the living room, but the software has not been updated. I checked and saw that the Java files sit in a folder dated January 2016 and the actual JAR file is from May 2015. The Minecraft app on my mobile devices updates every blue moon, but I do not launch them. There is also still a bit of Minecraft paraphernalia in my son’s room, but it is covered with dust. Then along came this recent video by Vox about the artistic merits of Minecraft post-Mojang and dura-Microsoft. I was almost tempted to restart the game to see what was new. Almost. I was dismayed to find out that Microsoft had restricted how Minecraft maps were used by others [video segment] [announcement]. What was previously open for modification and innovation (just like the sandbox that was Minecraft) became walled and gated. A few partner companies of Microsoft survived, but my guess is that they are the exception rather than the rule. Microsoft can (and did) do this because they bought Minecraft from Mojang. It had to make money like their Office suite. The education version of Minecraft relies on subscriptions. I still have rose-tinted memories of Minecraft. The edu-Minecraft videos I created a while ago remind me of the fun I had with my son as well as the breadth and depth of learning I experienced. 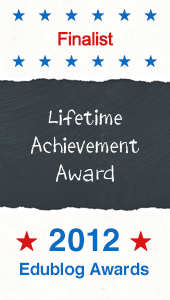 The artefacts and memories are like a diploma that remind me of an achievement. I have been fortunate to be approached to give advice about leveraging on Minecraft in education. But since these seemed to head down the same dark Pro Bono alley, I decided not to take them because I would have walked out poorer from being robbed of my living. When you’re playing another person’s game, night could come at any time. And then it’s always survival mode. After reading this article on Microsoft pushing Minecraft into classrooms, I was not taken by the efforts of the technology giant. While they might have an education arm, they do not have an education heart. Instead I liked Mimi Ito’s description of the game. Specific educational features of Minecraft — shared virtual world, construction tools, hackability— are not new, but what’s really new is the fact that it has been put together in a package that is embraced at a massive scale by kids, parents, and educators. The ability to build freely, share what you build, and hack so that you have better tools, effects, visuals, etc., are probably why Minecraft caught on so rapidly. This led to why Microsoft bought it and why schools might embrace it more widely. The emphasis is on might. Some progressive individuals already have, e.g., the Minecraft Teacher. This was way before Microsoft jumped on and bought the whole bandwagon as well as the trail and the world it was travelling on. School leaders and teachers no problem with building. I will resist the urge to describe Minecraft as digital LEGO. Instead I will point out that schools might include Minecraft under the trendy umbrella of making and maker spaces. Schools might not be so open with sharing. Trump might not have his wall, but schools have long maintained walled gardens to protect their classroom bubbles. School are definitely not keen on hacking even though it is legal and encouraged in Minecraft. There is a whole ecosystem of customising the game to suit your needs. There are entire servers based on modifications of the Minecraft core that provide different experiences, e.g., even more limited space and resources, Hunger Games-like survival, simple emulations of other games. That said, schools might reluctantly embrace Minecraft hacking under the trendy identity of coding. Ah, much better. So far, though, not every feature of Education Edition is being met with whoops of joy. For example, Microsoft chose to include in the game virtual chalkboards — a decidedly old-fashioned tool plunked down into a 21st-century game. Minecraft has the literal and figurative building blocks to go forward, up, deep, and wide more rapidly than schooling can. This movement will be lead by learners from age 4 to 40, and by innovative teachers. Whenever a larger entity (like Microsoft or Blackboard) buys a smaller company (like Mojang, the makers of Minecraft, or the assortment of setups that Blackboard swallowed up), there is a worry that something bad will happen. That worry is warranted when history repeats itself with acquisitions preceding dissolutions of the smaller groups. Some people are not worried or critical of Microsoft’s purchase of Minecraft. News seems to be good a year in because Microsoft has a new version, Minecraft Education Edition (current form: MinecraftEDU). I am calling it MEE. As an educator, casual Minecraft player, and keen observer, I am monitoring this development with some worry. The Guardian goes into detail about MEE and describes various teacher control measures. These are no doubt requested by teachers and even the kid players themselves. After all, who wants to see a painstakingly-built structure vandalised in mere seconds? Part of me says this is not about education. It is about schooling and tight control. To use Minecraft terminology, I say we do not call it creative mode when it is about command and control. The article says MEE “adds extra functionality for teachers”, but does this also introduce unnecessary barriers for learner-gamers? I am not saying there should not be technical advancement and better management of the creative spaces. However, rules are not just about one-size-fits-all enforcement. They are also about social negotiation, peer pressure, and persistence. These are skills that can be nurtured from game-based learning. The Guardian also pointed out that this iteration of Minecraft is the first written in the programming language C++. While this might create new possibilities in the future, it might close a door on an already rich practice and ecosystem developed by Minecraft gamers. I am referring to the “community-made mods, maps, skins and mini-games”. Will there be a way to take advantage of this creating, coding, and makerspace by providing ways to import such user-generated tools and content? Or will Microsoft remain in command and control mode and create approved add-ons that they then put on sale? When Microsoft bought Mojang’s Minecraft, it also bought the players of the game. This is like Facebook having WhatsApp and Instagram users whether they realise it or not. Will Microsoft use MEE as a strategic lever to get into the device market like Google (Chromebooks) or Apple (iPads)? Might it seek to carve a lucrative, data-loaded corner out of the cloud-tool space like Google Edu Apps? You can feel helpless when you realise that you are barely a pawn in big business game. Big fish eats small fish, those are the rules. However, as financially lucrative as the education market might be, the rules in this arena are different. The bottomline has never been about money; it is always about values, skills, and knowledge that are timeless. You can make money out of this, as teachers and administrators do. Will Microsoft play by the rules, bend them, or break them? Will it be the school bully, the rich kid (Apple? ), the supportive IT guy (Google?)? Terry Heick shared five things Minecraft can teach us about pedagogy. I share and suggest five more. Play is the most instinctive way we learn and it is not wrong to have fun. The problem is that school teaches us otherwise. Both adults and kids need to unlearn that we stop playing as we get older. The objectives and outcomes in Minecraft are not fixed. The player defines his or her own. While objectives and outcomes can be set by someone else other than the player, this might be an obstacle to learning about, with, and from the game. Learning is not always a function or result of teaching. It does not have to start with a teacher’s objectives, nor must it always end with a traditional assessment. Authentic problems are defined and solved by people and players. They define outcomes and they determine success or failure. Game-based learning guru, James Paul Gee, is fond of pointing out that games flip the instructional process by putting tests or assessments first. The problems (not the objectives) define learning needs and the learners fill these needs with the help of more knowledgeable others. Learning without restrictive, externally-imposed objectives is more natural because the player defines what is important or meaningful. The processes of play include problem-seeking, learning on-the-run, and problem-solving. For example, when trying to figure out how to tame a horse (the outcome), a player might seek game forums, Minecraft wikis, YouTube videos, or each other as sources of information (the content). The evidence is a tamed, rideable horse that does not escape (the evidence of learning, a key purpose of assessment). Minecraft has been used to teach an assortment of academic subjects simply because it is not designed for any particular one. The best educational technologies are content and curriculum neutral. They are blank slates, extremely flexible tools, or regularly used instruments with which both teachers and students can create. Even though Minecraft does not favour any particular content area, it provides context for the expression of issues and ideas for them. That is why it is often described as being LEGO-like or a sandbox. Expression by creating with bricks or shaping with sand can be by an individual or a group. The power of Minecraft is that it enables both. But if you think that what individuals create is amazing, then collaborative efforts will floor you. Any good game can be used for game-based learning as long as teachers realise that content is not the end in itself. Content is not king and it is a means to ends. Context is king and where content is applied. It is then evaluated, reused, revised, or discarded. That is how the world works because that is how our brains work. To deny that is to deny reality and a more meaningful and powerful way to learn. I loved watching this video of a few mothers trying Minecraft for the first time. It is one thing to read opinion pieces of the game, particularly in the context of education, and another to experience it for yourself. Then once you try it out, it is one thing to have a taste and it is another to immerse yourself and keep at it. Despite the short exposure to the game, I like how one mother told her child to move aside so that she could do something in the game. That is a step closer to immersion. Csíkszentmihályi would refer to this immersion as flow. We might refer to it as being in the zone. This is experiential learning and learning-by-doing at its best. These are natural extensions of who were are and that is one reason why games like Minecraft are so successful. I have said it before and I will say it again: If you cannot reach them, you cannot teach them. If you want to teach the learner, you must first be the learner. This is not just about gaming. It is one thing to observe a child playing; it is another to be the child playing. It is about taking the child’s perspective and having an educator’s empathy. If you do not do something new like playing Minecraft, you will not know why it appeals so widely or how to leverage on it. The first step is the hardest. Take it and do. BTW, I played Minecraft (mobile and PC versions) with my son and created several videos of what we learnt together. Last week a writer took great pleasure in highlighting how a 6-year-old totally owned the Financial Times over a ‘Minecraft’ error [original article] [copy of child’s letter]. I have played Minecraft with my son and even made a few videos on what we might learn by immersive play. I was sure that the 6-year-old was not entirely right. You cannot be right all the time and that is a valuable lesson in life. So how does one burst the bubble of a child without also bursting their self-esteem? You ask another child to correct him. I asked my 11-year-old for his thoughts as a Minecraft veteran. He gave a blow-by-blow account of how the FT could have got their Minecraft scene right. Much of what was possible could be due to texture packs and building in creative mode. 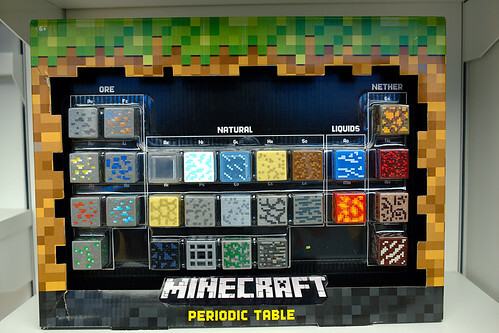 However, the biggest problem with the Minecraft scene as depicted by FT was that is was most likely a Photoshopped collage of separate Minecraft and other elements. A writer opted to use an “out of the mouth of babes” moment to highlight the folly of another writer. That was premature. This is a reminder for both adults and kids: It is better to ask than to assume that someone is right. Furthermore, an adult is not necessarily the best source of information; what a child knows deeply might surprise you. I had a conversation with an English teacher recently. When I asked her to describe her students (all boys in a local Primary school), she mentioned something I hear all the time: They will not sit and listen; they would rather be learning actively. She also mentioned two more things. The boys loved playing Minecraft (hence the embedded video above) and the older ones (11 to 12 year-olds) liked creating YouTube videos. The teacher also described her students as being able to speak English well, but not write it well. Given how most schools require students to write, I am not surprised. For example, my son is still given dead tree instructions to write an essay about an incident among kids playing hopscotch. How many kids actually play hopscotch? What could be more relevant to learners? If teachers are to answer these questions and change the way they teach, they must reach out to kids and start from where the kids are. How might teachers be more relevant while meeting curricular and assessment targets? They could leverage on what the kids are interested in or passionate about. The teacher I spoke to could ask her students to write about Minecraft or to draft scripts for a video. Such writing is not designed for a bubble like the classroom. The write up could be a walkthrough to be shared in a blog or a gaming forum. The script could be for a YouTube video to be put online. These are examples of authentic learning. The task is real in the world of the learner and the learners have real audiences who will invariably give them really honest feedback. This approach creates the need to learn. 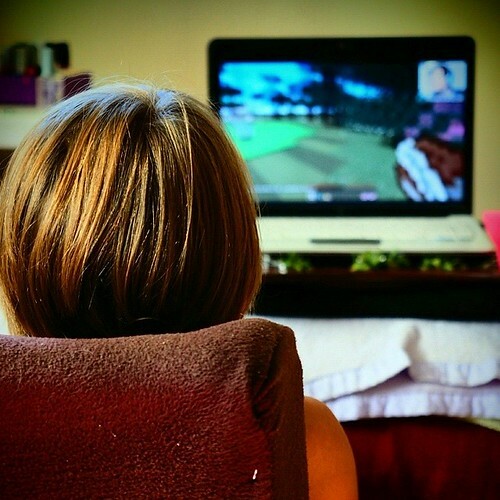 An audience of many (video game players and video watchers) instead of just one (the teacher) creates the need to learn how to write clearly and concisely. Novice writers will want to learn how to structure their sentences properly and to use appropriate vocabulary. For teaching to be relevant and learning to be meaningful, teachers must first reach out and understand their learners. Then only can they create that yearning for learning.